Below are 1 - 6 of the 6 items	sorted in "A-Z by Title" order. A collection of 23 articles authored over thirty year period by Boaz Cohen, late professor of (law) at the Jewish Theological Seminary and one of the leading Talmudic scholars of his generation. 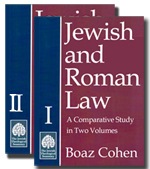 Published in two volumes, they have been supplied by a twenty-page introduction dealing with comparative study of law, specifically comparing Jewish law with that of Ancient Rome. 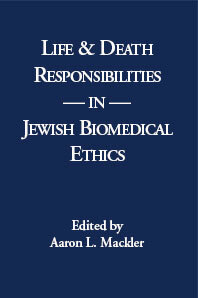 This book presents papers on biomedical ethics that integrate the resources of millennia with the most recent developments in medicine and ethical thought. Sifra: a Commentary on the Book of Leviticus. (in 5 volumes). A master edition of the classical Tannaitic Halakhic Midrash on the Book of Leviticus, named Sifra or Torat Kohanim. The example of a new, revolutionary approach to the study of Talmud.